Netrium oblongum var. cylindricum: ellipsoid-elongate cells with 2, in crossection star-shaped chloroplasts. 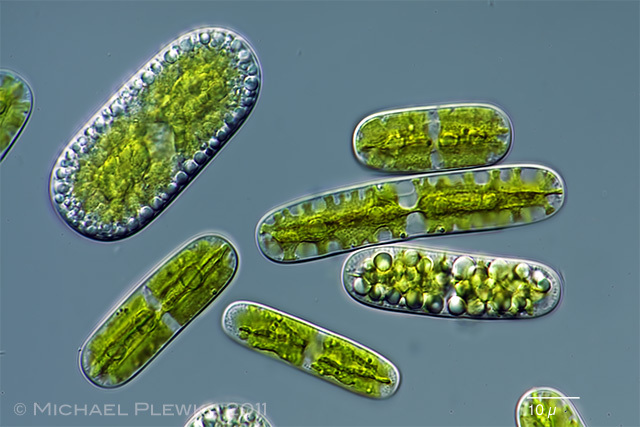 Each chloroplast shows 2-3 pyrenoids. 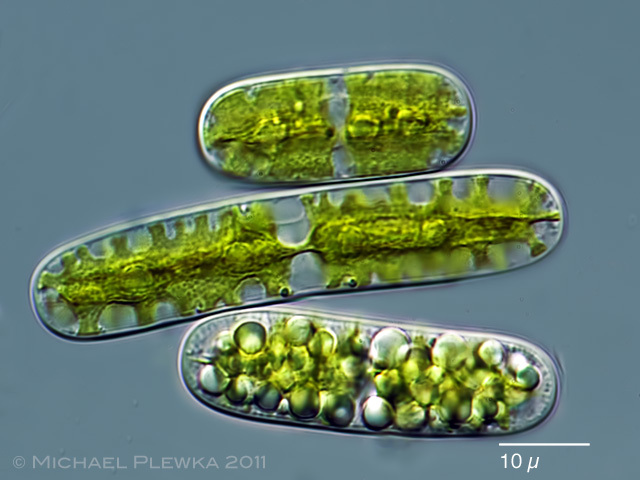 The chloroplasts of some cells may show a sheath of starch grains which are visible in the cell upper left and lower right. Netrium oblongum var. cylindricum: crop of the above image.